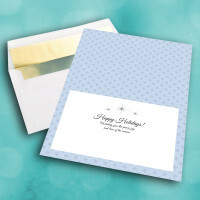 A perfect, non-denominational holiday card to bring some light into the lives of those who matter to you. 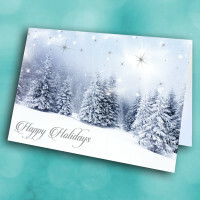 What better way to spread holiday light and cheer than with a frosty forest scene. 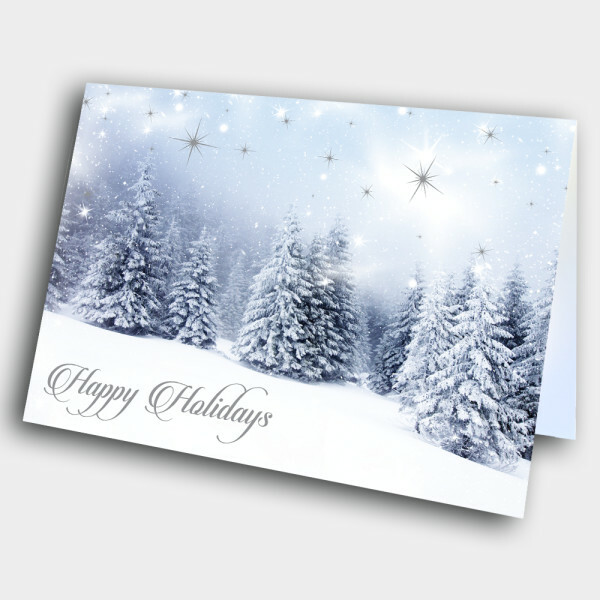 This photo-realistic snowy landscape is adorned with sparkling stars across a clouded sky. 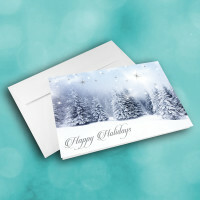 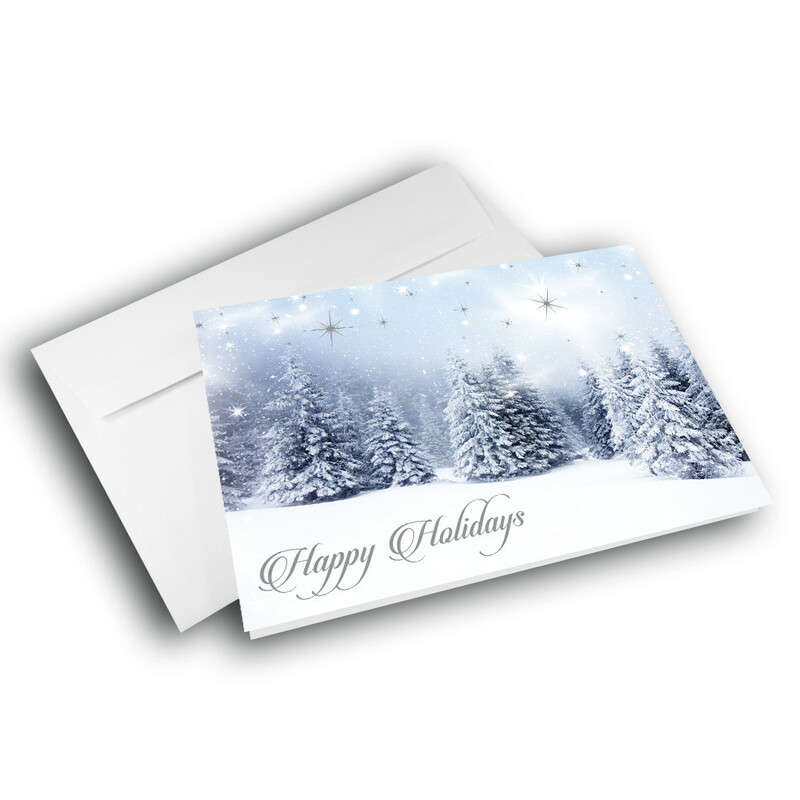 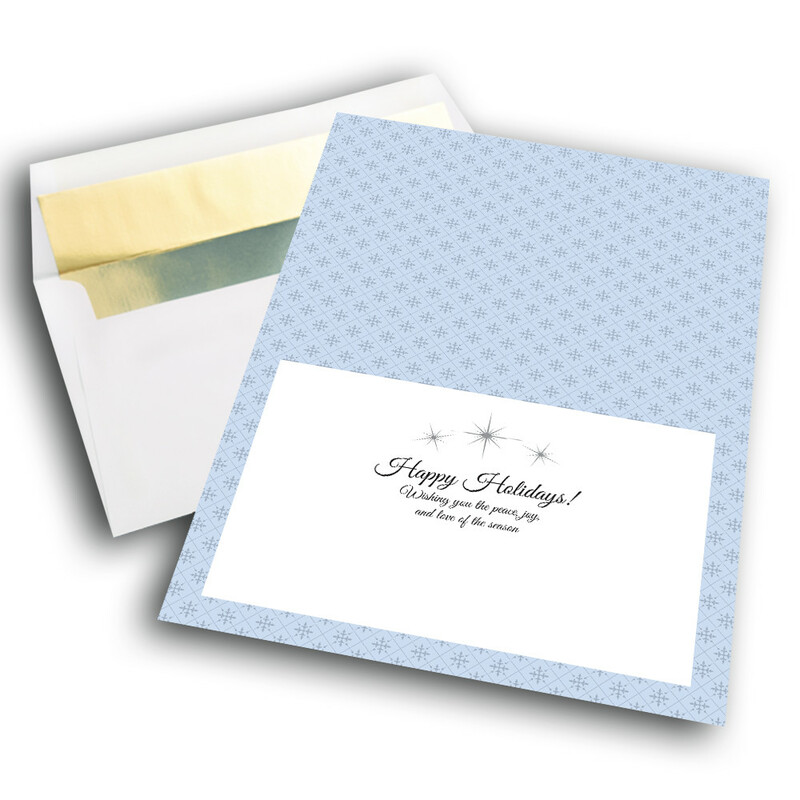 With a "Happy Holidays" greeting elegently penned into the snow, this card is an ideal holiday card for both business and personal relationships.